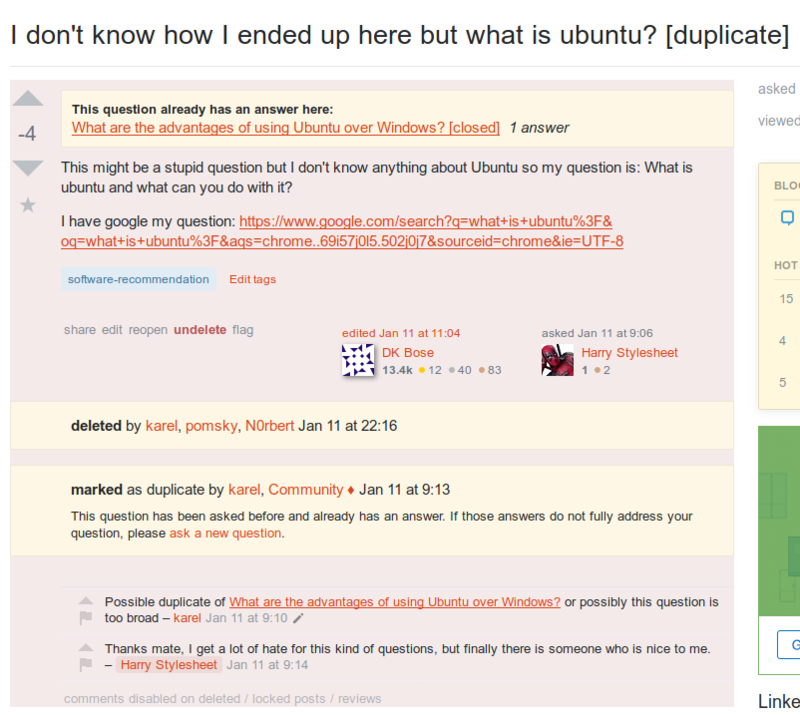 I have a question about my Ask Ubuntu post: I don't know how I ended up here but what is ubuntu? You then continue to call your own question stupid. I know that's not what you mean, but essentially you should ask the question, not reflect on it. Your real question is: What is ubuntu and what can you do with it. Here you could improve the question by making it more specific: Is it a video-editing tool? Does it replace windows? Do you use it together with windows? Is it targetted at specialised people? Programmers? Whatever you think of you could add here. You then add a link to google, but you don't mention what you learned from that query. What are the results telling you? All the above make your question look sloppy and make it look like you have not taken the effort to research your question. Next time try to be specific, clear, without too much meta. There are many professionals on this site and they don't want to waste their time. So the more specific, the better. 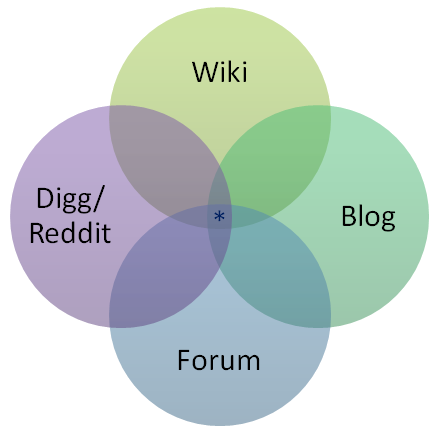 We're like the little asterisk in the middle, so take the tour and then read the help pages because we like to have well-defined questions that lead to well-defined answers without opinions, just facts so they lead to specific solutions to specific problems that help you now, and everyone else that has the same kind of problem in the future! More specifically, here is a list of the best questions on Ask Ubuntu, so have a look at those as well and try to imitate them and you will post great questions! Is this the right place to ask about finding and installing an AV? Why is this question downvoted?